Annette Medlin: Need a Speaker? 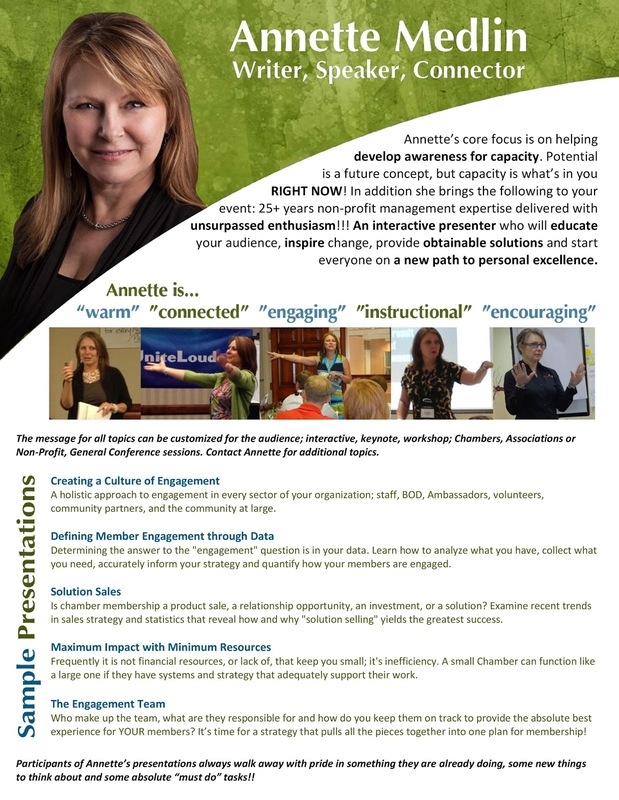 Engage Annette today for your next event! The message for all topics can be customized for the audience; interactive, keynote, workshop; Chambers, Associations or Non-Profit, General Conference sessions. 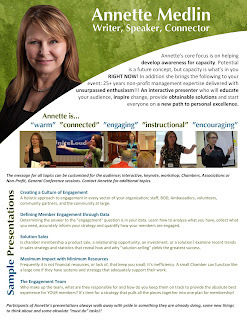 Contact Annette for additional topics. A holistic approach to engagement in every sector of your organization; staff, BOD, Ambassadors, volunteers, community partners, and the community at large. Determining the answer to the "engagement" question is in your data. Learn how to analyze what you have, collect what you need, accurately inform your strategy and quantify how your members are engaged. 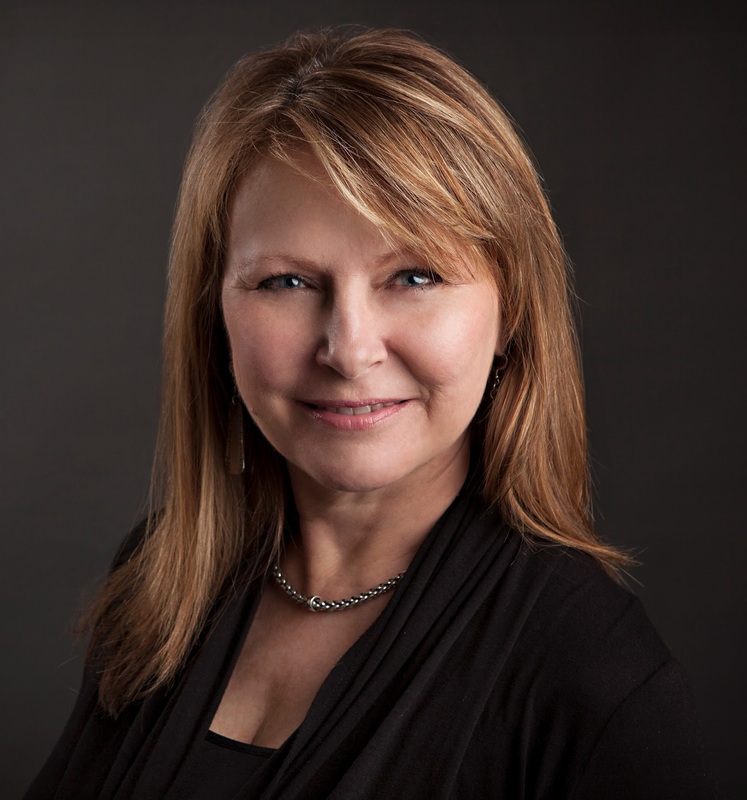 Is chamber membership a product sale, a relationship opportunity, an investment, or a solution? Examine recent trends in sales strategy and statistics that reveal how and why "solution selling" yields the greatest success. Frequently it is not financial resources, or lack of, that keep you small; it's inefficiency. A small Chamber can function like a large one if they have systems and strategy that adequately support their work. Who make up the team, what are they responsible for and how do you keep them on track to provide the absolute best experience for YOUR members? It’s time for a strategy that pulls all the pieces together into one plan for membership! Participants of Annette’s presentations always walk away with pride in something they are already doing, some new things to think about and some absolute “must do” tasks! !